Energy Saving Systems - Our mission is to design and install energy saving systems that will reduce your energy consumption and save on your overall electrical expenses. Our design philosophy is to create custom Electrical or Lighting systems that will match each client with the most appropriate and useful technology that will save you money. It doesn't matter if it's a single room, a home or an entire facility our focus is on our customer and we will make sure you save money, Guaranteed! Home Entertainment - Today’s rapidly evolving technologies deliver a wide array of capabilities for homeowners and builders. With expertise gained over 16 years serving the Bismarck-Mandan area, we excel at simplifying this complex field, making new technology simple and effortless to enjoy. 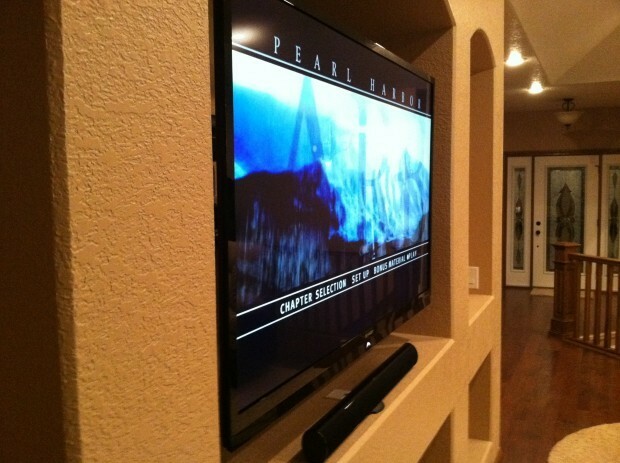 From a simple Flat Screen TV Installation to a Whole House Automation System - We handle jobs of all sizes! All you need is your imagination and we do the rest! Energy Saving Electrical Systems: GreenLight Systems designs and installs custom energy conservation systems that help reduce your electrical costs by up to 30%. Guaranteed!! Sit down for a quiet time around the fireplace or watch your favorite movie and see how your custom lighting system will enhance your room environment. Today’s rapidly evolving technologies deliver a wide array of capabilities for homeowners and builders. With expertise gained over 16 years serving the Bismarck-Mandan area, we excel at simplifying this complex field, making new technology simple and effortless to enjoy. Whether you are a homeowner building the Custom Home of your dreams or a Contractor offering Quality Spec Homes, you want your home to have all the joys of home entertainment and the latest technological innovations without seeing the wiring that makes it all possible. We assist you with everything from thoroughly designing the wiring infrastructure capable of handling your current and future needs to beautifully integrating audio-video equipment that thrills you with a spectacular sensory experience. When you step into your own private cinema you are immersing yourself in a land of dreams, desires and imagination. 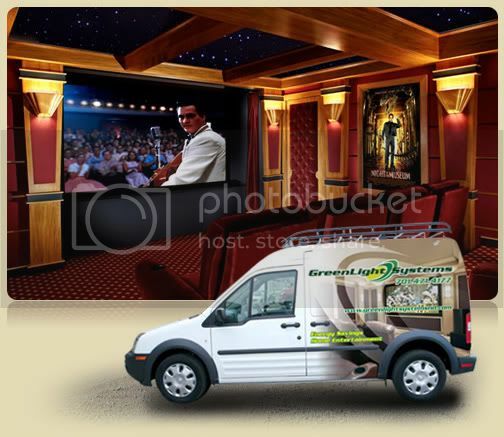 What you will experience in this theater will take you and your guests to new levels of excitement, emotion and passion. You will meet the film-maker's art in the way they intended - witness the whole, stunning picture and clear, spine-tingling sound with absolutely no compromises. Sometimes the most pleasure comes from what you hear not what you see. 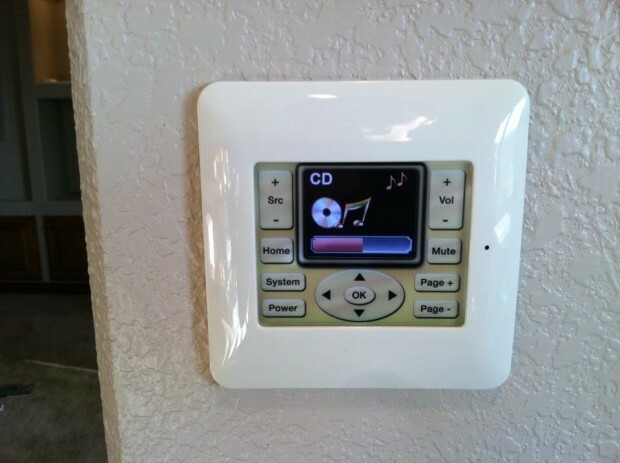 With Whole-house audio you can hear music wherever you are in your house, all controlled by the touch of a button. Listen to soft background music, crank up the volume for a summer BBQ, or distribute your favorite satellite radio program to every room. It is more than just great sound. It’s a lifestyle. With a multi-source audio system, you can access your favorite CD in the kitchen, the TV in another room, your MP3 collection in the bedroom, and listen to talk radio in another. All these audio sources can be individually controlled by locally mounted easy to use keypads with individual balance and volume controls to enhance the listening experience. Additionally, integrated lights can add value to your home. The preset scenes and automatic timers can conserve power and save you money. The same wiring that commands the lights can also command lawn irrigation, pool temperature, hot tubs, garage door openers, and your complete home entertainment system. Imagine the simplicity, the convenience and the security that integrated lighting will bring to your life. Controlling your home isn't just about ease and simplicity. It's about knowing your house is safe and secure. It's about managing your environment effectively. It's about freedom to enjoy your home in ways you hadn't imagined. This is a smart home and it can save you money by reducing your energy usage. From hot water to cool air, from lighting your patio to watering the garden you can lower your energy costs and reduce your carbon emissions... just like that!